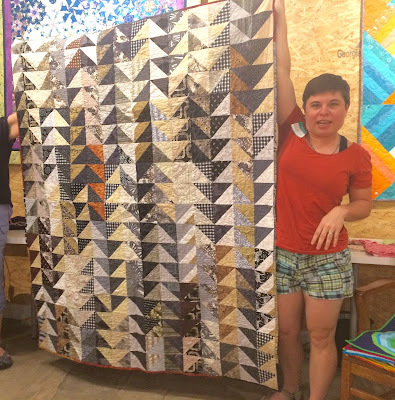 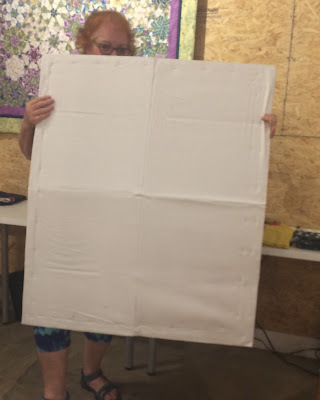 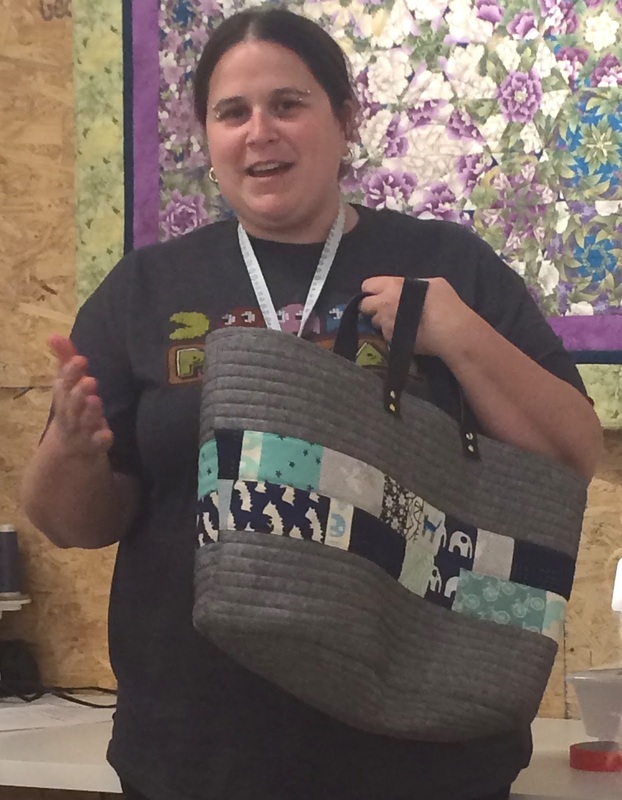 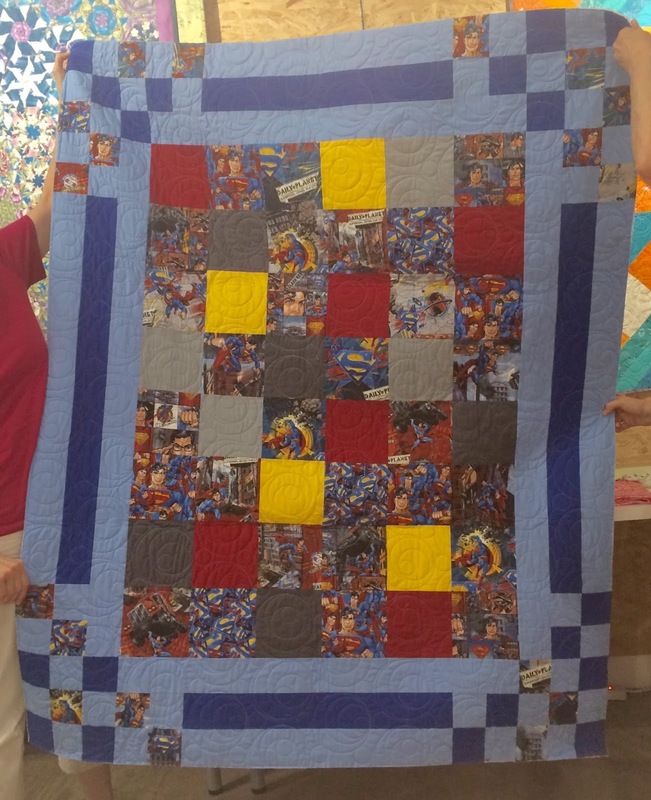 The highlight of our July meeting was the unveiling of our QuiltCon 2018 CMQG quilt design! I'd love to show it to you, but then I'd have to kill you it's a guild secret for now. 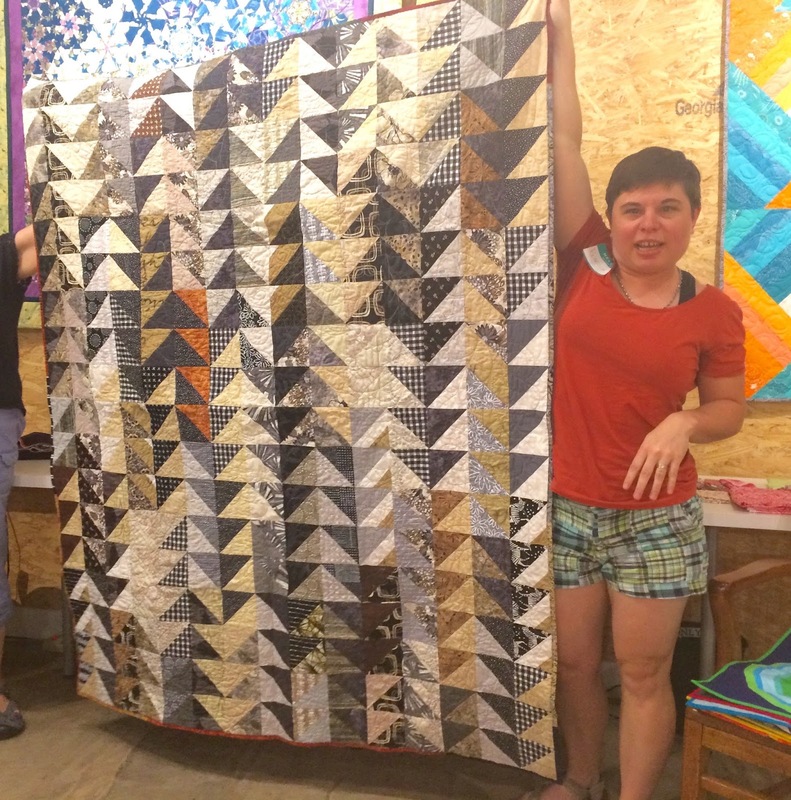 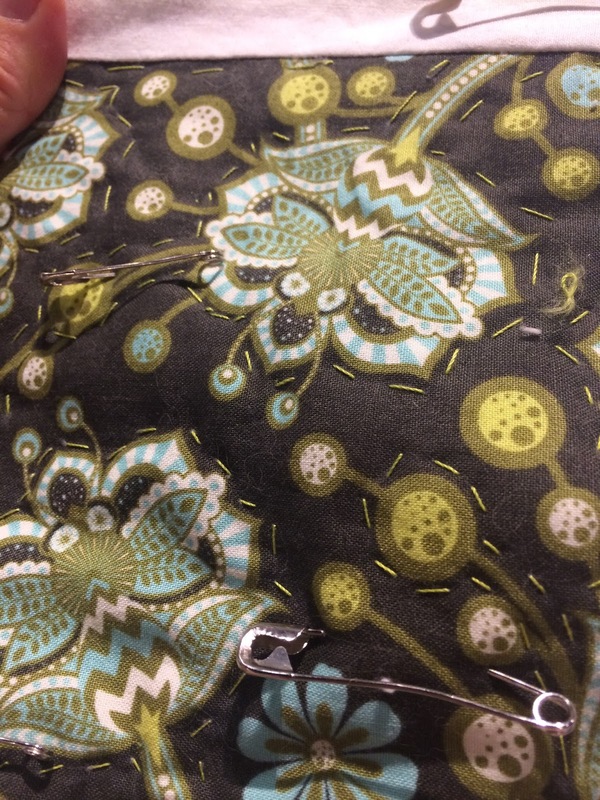 We certainly got a head start with fabric cutting and division of labor at our July meeting. 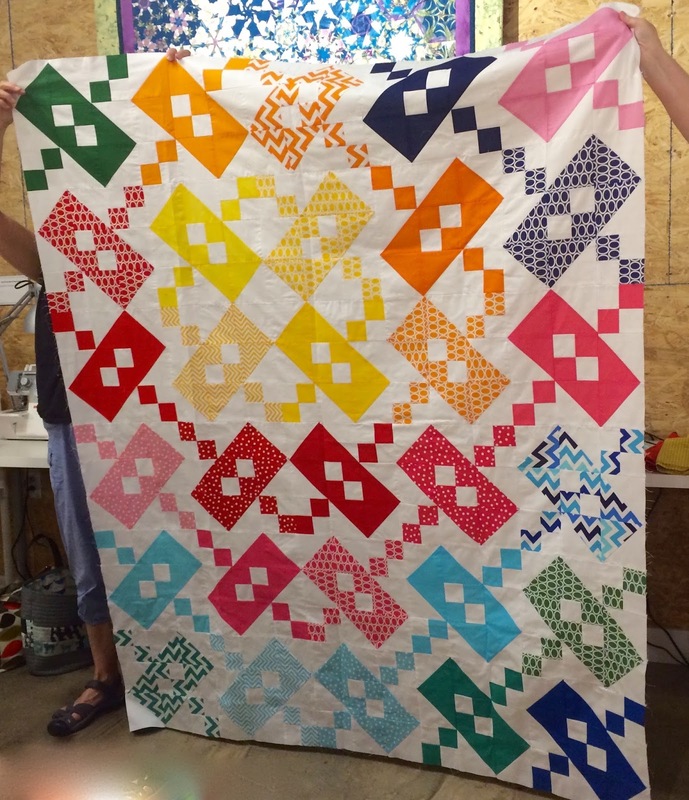 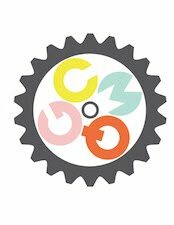 A big congratulations and thank you to Charlotte Howard who came up with the winning design - in addition to being beautiful, it's also easy to divide up and will come together reasonably quickly! 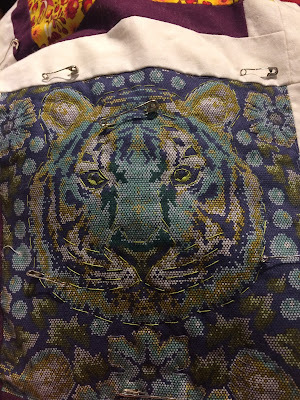 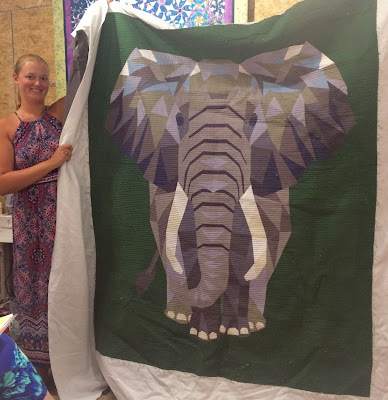 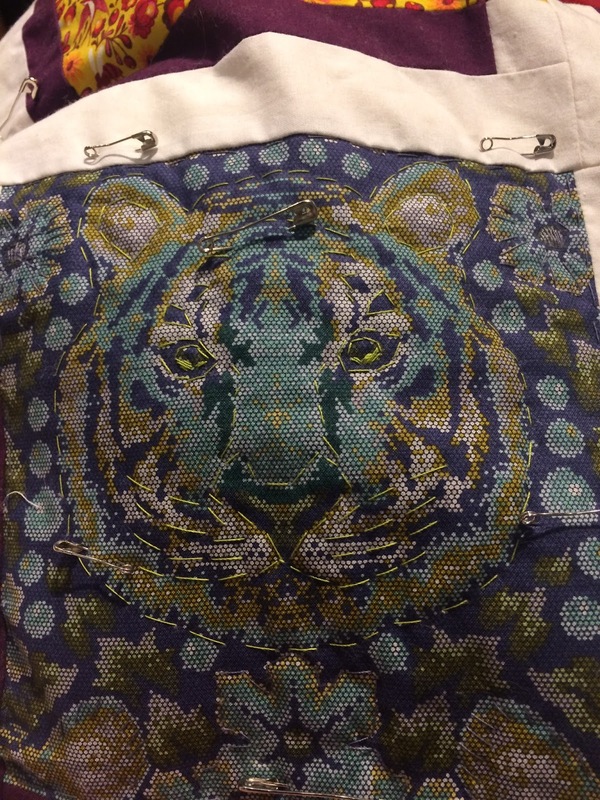 Heather shared this lively masterpiece she made using the Sister Sampler Quilts book. the straight border we've always taken for granted! 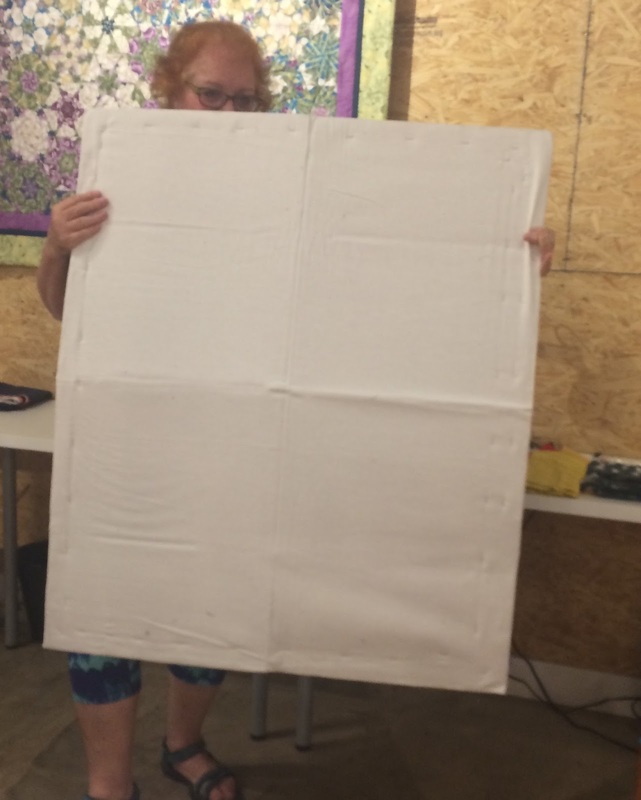 Hilde also demonstrated her DIY design board, made from a cardboard box! 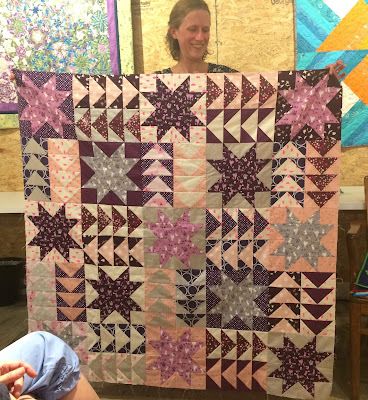 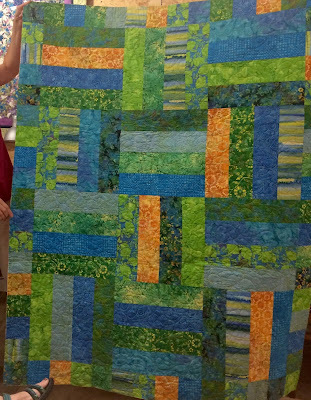 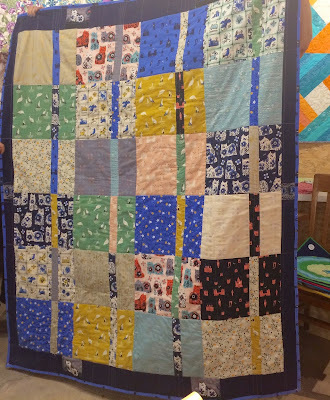 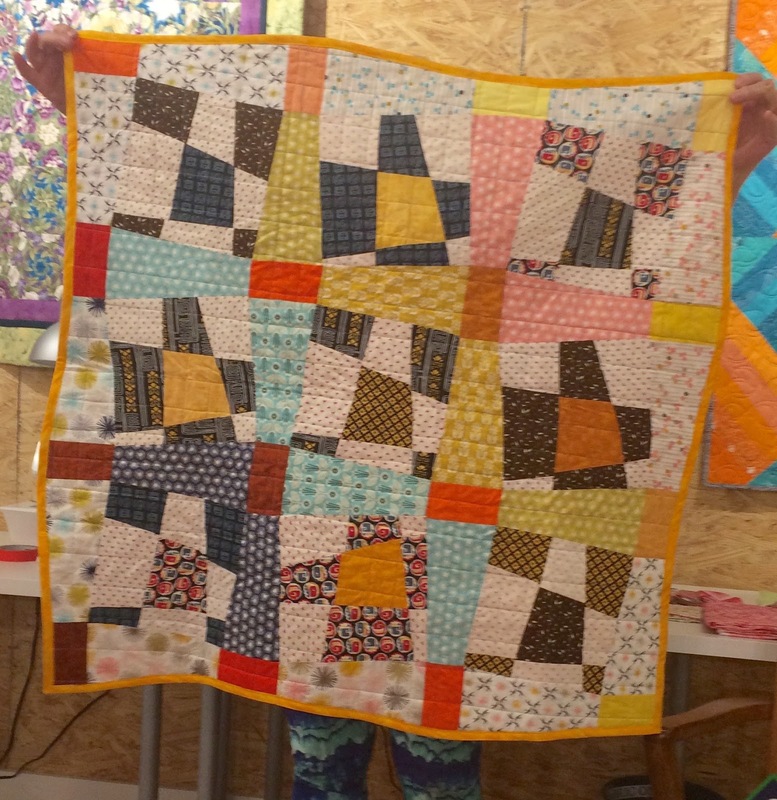 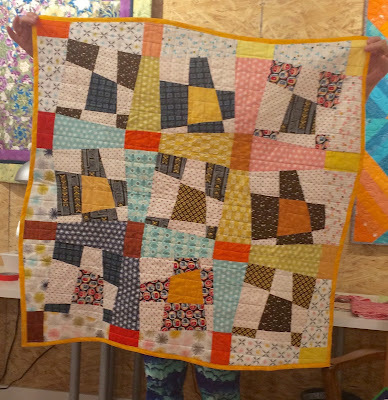 Rebecca described this as her "simple scrap quilt," simply lovely! 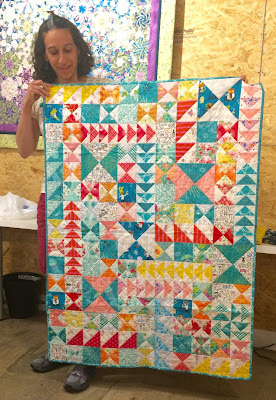 How sweet is this back? Carolyn's bright and beautiful baby quilt, made with science fabrics. 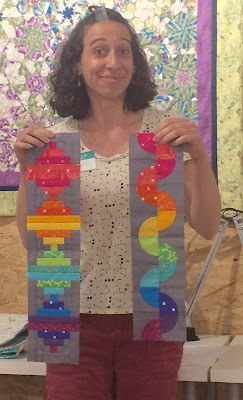 And some of her rainbow project samplers - can't wait to see these come together! 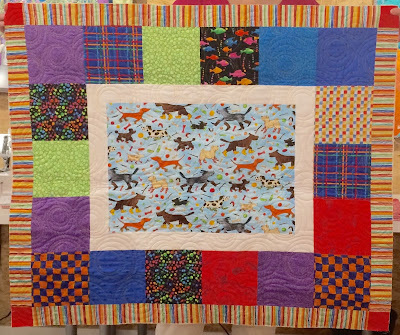 Gwen's charity quilt, for some lucky dog lover to curl up under. 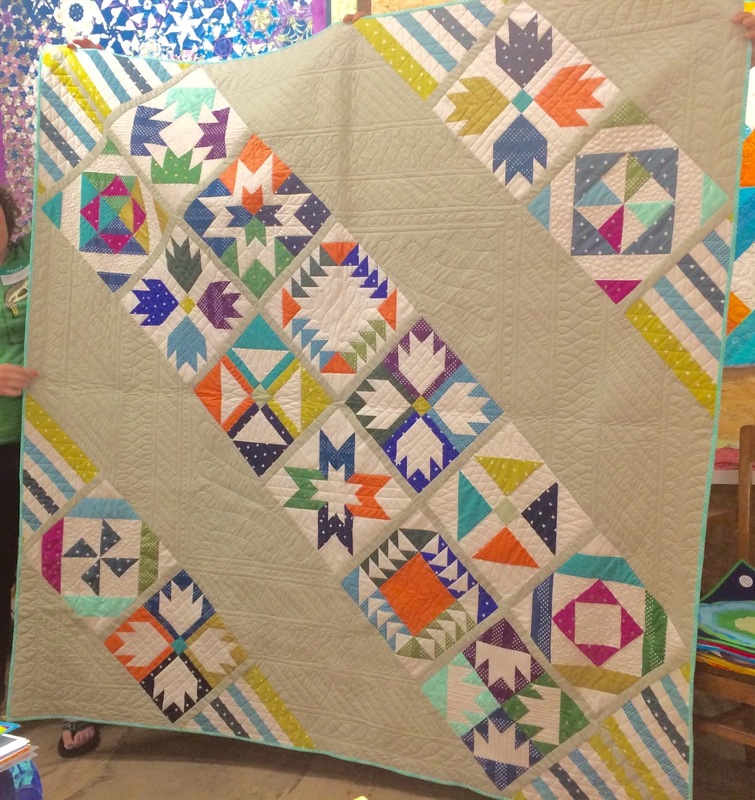 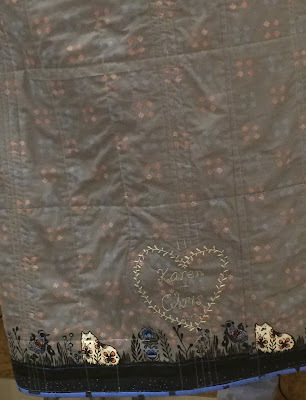 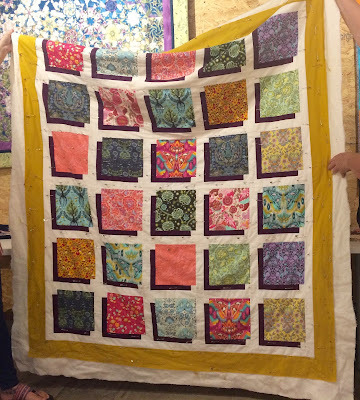 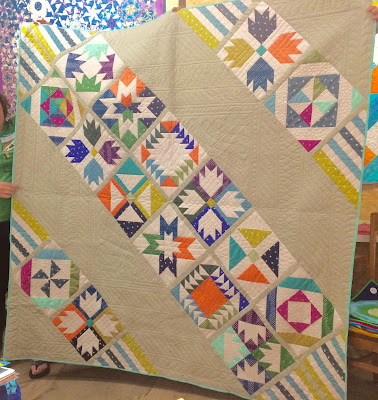 Gwen's insomnia quilt makes us want to stay up and quilt late into the night! We'll see you at the meeting next Sunday, August 27th.